Site work is underway now for a retail construction project that will bring a handful of restaurants and retail shops just northwest of Gulf Coast Town Center. Development plans for the 22.5-acre parcel feature several restaurants, including Chili’s, Tijuana Flats, B.J.’s Restaurant and Brewhouse, and PDQ, a new concept by the founders of Outback Steakhouse with a menu centered on chicken tenders. Road and utility construction is first up for University Plaza West and that is scheduled to be finished in June so that the restaurants can begin construction, said Frank Mirasola, vice president of Vantage Properties, the project developer. B.J.’s Restaurant and Brewhouse, which features craft beer, burgers and pizza, has 15 locations in Florida. PDQ, which stands for “People Dedicated to Quality,” according to the restaurant website, was founded in Tampa in 2011 by Outback Steakhouse co-founder Bob Basham and MVP Holdings CEO Nick Reader. Vantage purchased the land for University Plaza for $4.5 million in December from the Cleveland Clinic Foundation. The land stretches from the northern entrance road to Gulf Coast Town Center south of Alico Road west to the Interstate 75 interchange. Negotiations are still underway with tenants for the land nearest the interstate and could include additional restaurants, shops, offices or a hotel, Mirasola said. 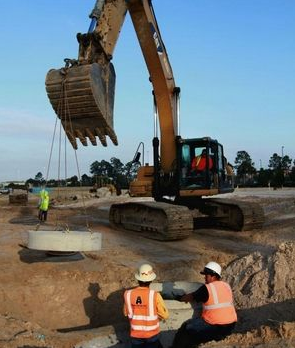 The project is one of several in the works near Gulf Coast Town Center. Commercial real estate broker Steve Cunningham, a partner with LandQwest Commercial in Fort Myers, said the area promises to see plenty of construction for years to come. Cunningham said Gulf Coast Town Center and Florida Gulf Coast University combine to be very attractive to retailers. “It has the perfect mix of people because you have middle to upper-income residents in the neighborhoods nearby and then you have the college students,” Cunningham said.